2. 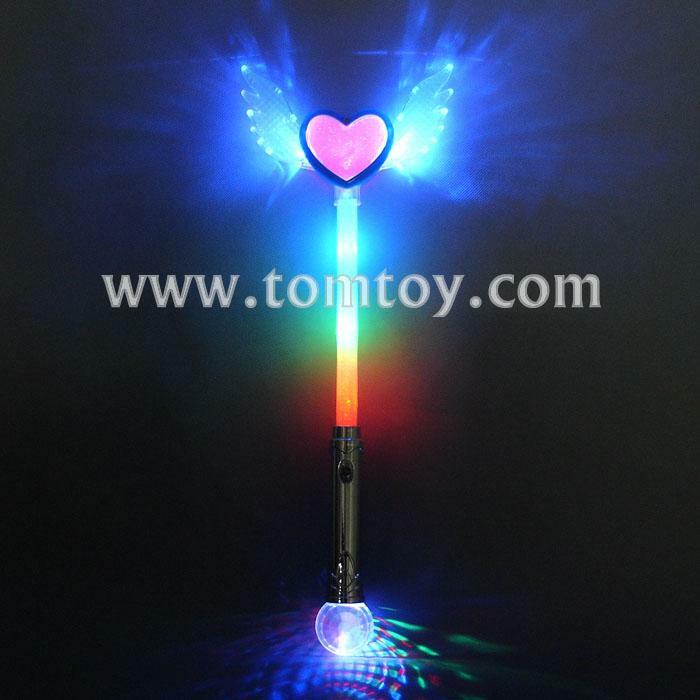 LED Light Up Angel Heart Wand To Ignite A Shimmering Show Of Multi-Color Light. 3. Features 3 flash mode: blinking, flashing, color change. 5. Approx: 18" in height. Batteries are included and installed.